Both sexes fully winged. Body brown, tarsi and apices of tibiae yellow, also antennal segments III–VII largely yellow, VIII light brown; fore wings pale. 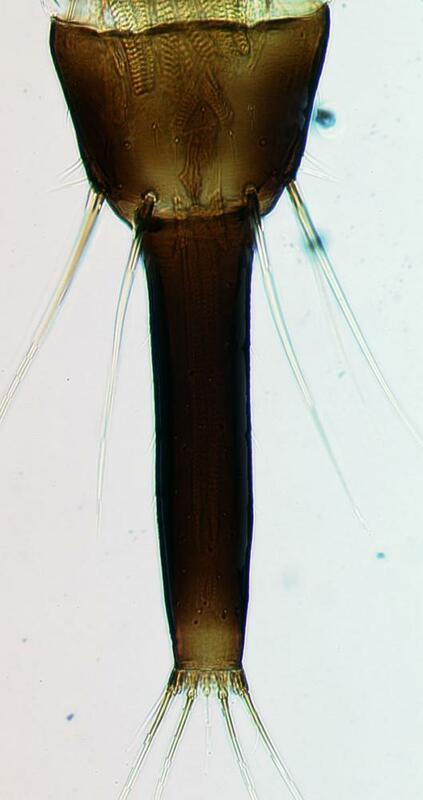 Head longer than wide, slightly constricted behind eyes; postocular setae with apices bluntly pointed, scarcely extending to posterior margin of eye; maxillary stylets retracted almost to postocular setae, about one third of head width apart. 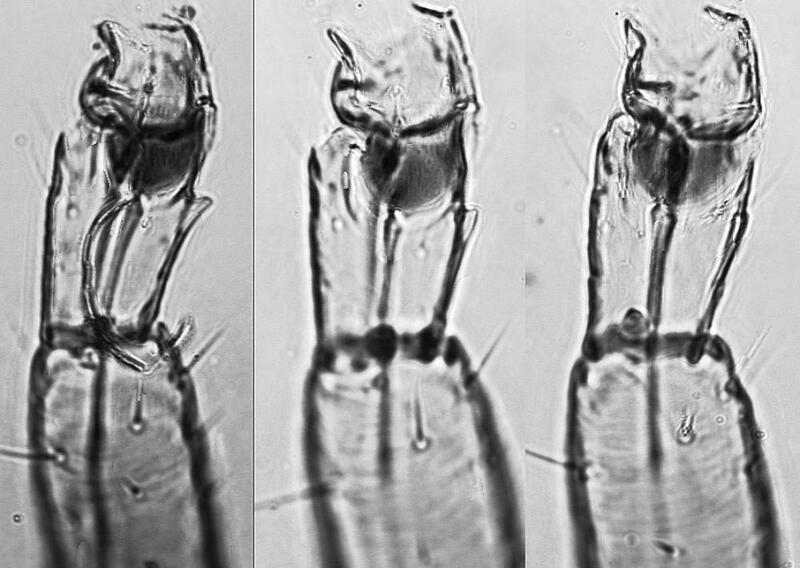 Antennae 8-segmented; segment III with one sensorium, IV with three sensoria. Pronotum with major setae variable, anteromarginals minute, anteroangulars commonly well developed, midlaterals and posteroangulars usually much shorter than epimerals; epimeral sutures often not complete. Fore tarsus with small or minute tooth. Metanotum longitudinally reticulate. Fore wing parallel sided, with about 15 duplicated cilia. Pelta broadly triangular; tergites II–VII with two pairs of sigmoid wing-retaining setae; tergite IX setae S1 about 0.8 as long as tube. 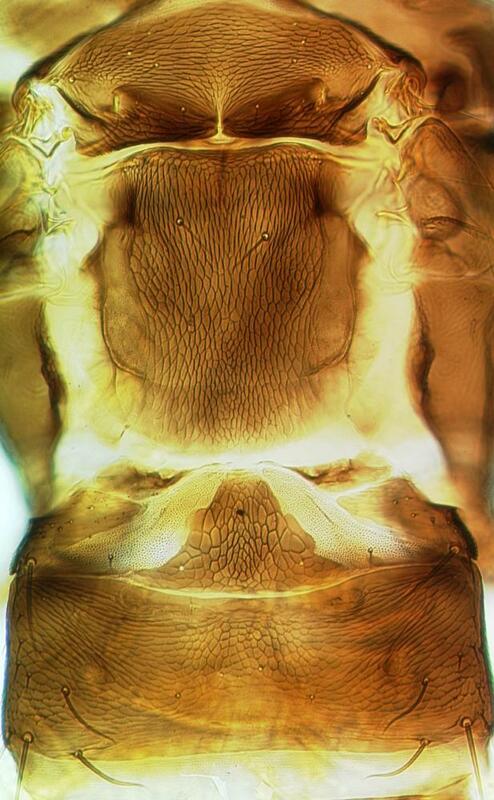 Male smaller than female, no fore tarsal tooth; tergite IX setae S2 short and stout. 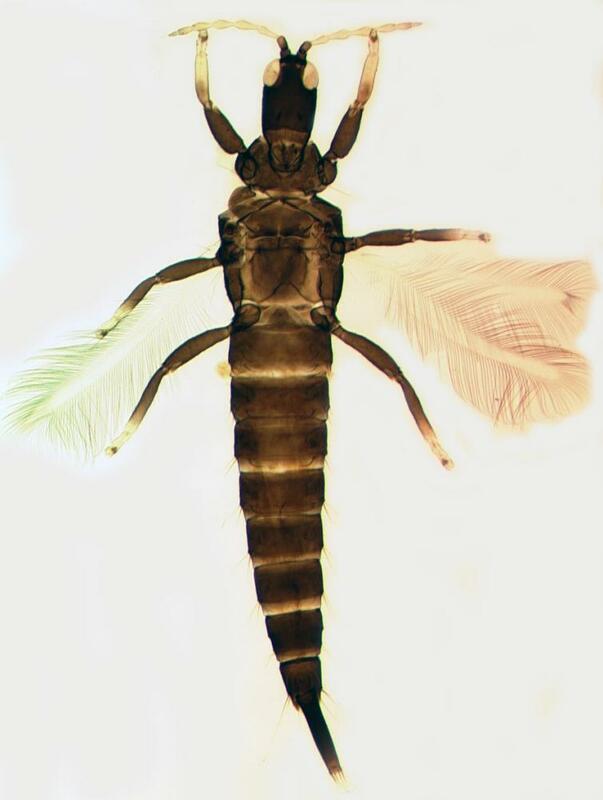 About 40 species are listed in the genus Gynaikothrips, mainly from Southeast Asia. Priesner (1939) gave a key to many species, but there are few studies on variation within and between populations. The genus remains poorly defined, and species recognition is difficult. G. ficorum is the most common species, because its host plant is so widely cultivated. It is usually recognised by the pattern of sculpture on the pronotum, the yellow antennae, and the minute fore tarsal tooth. It differs from G. uzeli in having the pronotal posteroangular setae scarcely longer than the discal setae, but populations in S.E. Asia sometimes show considerable variation in the lengths of the pronotal setae, such that distinction between species remains uncertain. Mound, Wang & Okajima (1996) suggested that G. ficorum is probably a form of G. uzeli that has been widely distributed by the horticultural trade. Apparently specific to Ficus microcarpa (Moraceae); published records from Ficus benjamina require confirmation. Inducing leaf-roll and leaf-fold galls on Ficus microcarpa; sometimes considered a public nuisance when in large populations (Mound et al., 1996). Widespread around the world, wherever its host plant is cultivated.